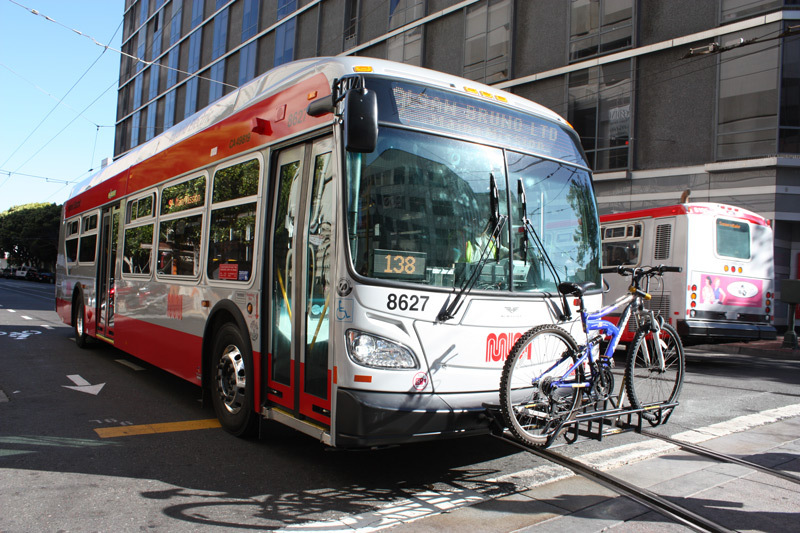 The San Francisco Commuter Benefits Ordinance requires employers to provide a commuter benefits program that supports and encourages their employees to bike, take transit and carpool to work. The goal is to reduce traffic congestion and decrease greenhouse gas emissions by focusing on a reduction in single-occupancy driving trips. 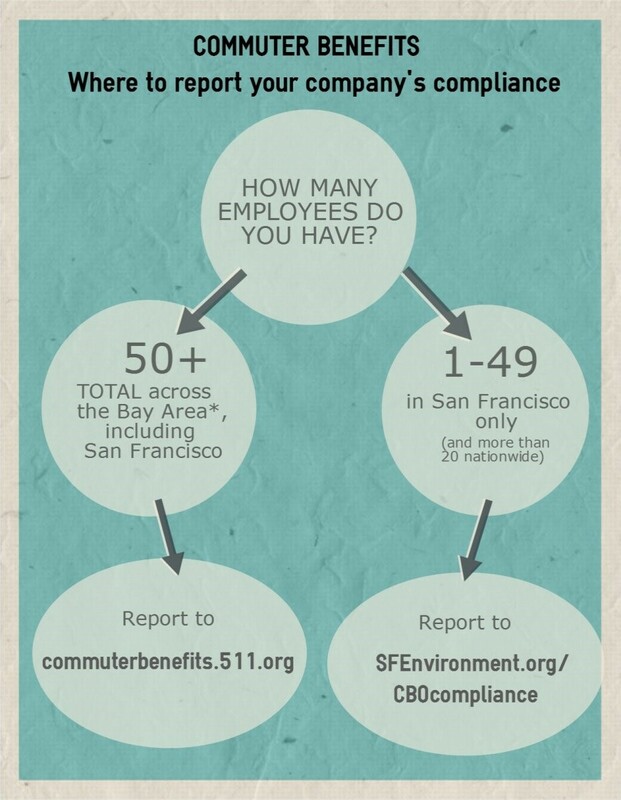 To report compliance, businesses must complete the SF Commuter Benefit Compliance Reporting Form. Need to register with the Bay Area Commuter Benefits Program, which is administered by the Metropolitan Transportation Commission. 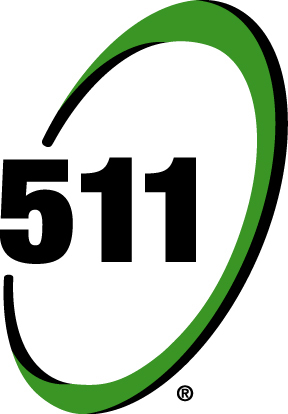 For additional information or help with the Bay Area Ordinance, email [email protected], call 511 or from outside of the Bay Area call 510-285-3182. Employer-Paid Benefit – A monthly subsidy for transit or vanpool expenses equivalent to the price of the San Francisco Muni "A" Pass (including BART travel). View the current monthly fare. Please review our Employer Guide for step-by-step directions on implementing a commuter benefits program at your business. Warning - A written notice of violation. Fines - Fines will be levied 90 days after the initial written notice. Employers will be subject to a fine of $100 for the first violation, $200 for the second violation and $500 for the third violation, up to a maximum of $800. Please refer to the Commuter Benefits Ordinance Rules and Regulations for additional information about enforcement.